If you've been running your business from a home office, it can seem like a big step to expand to a virtual office. 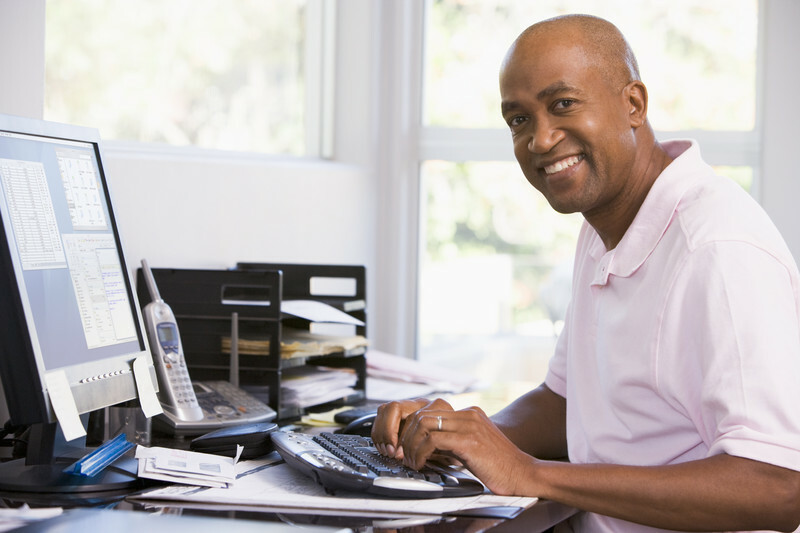 Working from home can be great, especially since you don't have to pay rent for your business. But in the end, you can only do so much from a home office, and if you really want to grow your business, expanding to a virtual office can be the perfect solution. If you're worried about the numbers, here are a few ways you can shuffle your budget around so you can afford to make the move to a virtual office. If your business budget won't stretch to allow you to expand, perhaps you need to start looking for new sources of revenue. There are many grants and investment programs out there that you may be able to take advantage of. Some grants are designed specifically to help startups get off the ground, and some investors are looking for startup entrepreneurs who have a great business plan but just need a little extra cash injection to get their business moving. If you're considering a move to a virtual office, see if there are any grants designed to help small businesses in transition in your area, or pitch your business to venture capital firms or angel investors and see if they'll back you. If new revenue isn't an option, then you may have to find some ways to cut costs. Every business’s budget is different, but one popular way for business owners to save money immediately is to advertise for free. Rather than paying for ad space, you can focus on building a strong presence on social media, creating an awesome website by using a free tool like WordPress, and boosting your business's visibility in Google searches. That way, you can get the word out about your business without having to spend a fortune. Another important factor to take into account is the advantages your business will gain when you make the switch to a virtual office. While renting a virtual office might cost you more initially, consider the long-term savings. With fully equipped meeting rooms available, you'll never have to pay for conference room rentals again. And with call answering and virtual PA services, you can spend more time focusing on your business while someone else takes your calls and organizes your schedule. While you may need to shuffle around some finances initially in order to make the move to a virtual office, the expansion should pay off in the long run. With the new connections you'll make from your virtual office space, and with an impressive business address to back you up, you'll be able to close more deals and get more business. To find out more about what a virtual office can do for your business, Contact us here. For virtual offices, where storage space can be minimal or non-existent and where people are always on the go, smartphones present a unique solution to some of the most common business problems. For Android users, sometimes all it takes to make a huge difference in the way you run your business is to download a free app. The four apps below should help increase your productivity, and could even help you increase your revenue by saving you time and allowing you to run your business from anywhere - as long as you remember to take your Android with you. If you haven't heard of Dropbox yet, you've been missing out on a tool that can revolutionize your virtual office. For many businesses, finding storage space to back up documents, as well as transferring documents between different devices, can be a major issue. With Dropbox on your Android, all of these problems are solved. Dropbox provides a cloud-based space to store all of your important documents. This way, you can easily access any document you need from any computer, and your files are protected in case you lose the original copies. With the Android app, you can access and organize all of your Dropbox files straight from your mobile device. The Documents To Go app is essential for accessing documents on your Android device, and makes a great companion to a file-sharing system like Dropbox. With the free version of Documents To Go, you can open files with extensions like .doc, docx, .xls, .xlsx, .ppt, and .pptx, that you wouldn't normally be able to open on your device. And, for those who want the freedom to edit documents they download to their Android device, the fully paid version of this app provides advanced editing capabilities for all of these document types. Keeping track of ideas, lists, notes, contacts, and other information can be difficult for someone in a virtual office. For those who are tired of jotting down ideas on napkins or wading through a pile of sticky notes every day, Evernote sets out to solve all of your virtual office's organizational problems. This is an ingenious app that allows users to sync all of their important information into one, easy-to-use format that can be accessed from anywhere. Evernote also allows users to input information in more ways than just one. Take a picture of a business card, and Evernote will use this information to create a contact form, or record voice notes and Evernote will store them in a way that makes them easy to search through and organize. These three apps will turn your smartphone into a powerful business tool. By helping you organize information and access that information on any device, these apps can completely transform the way you run your business, and potentially help you save a lot of money. Once you've started using them, you'll probably start to wonder how you ever ran your business without these handy digital tools. Virtual offices can be a benefit to people in all sorts of lines of work: finance, media, small business, and more. Often, those who are most suited for virtual offices are people who work in the high-tech industry, such as web developers. If you're one of these people, you're probably adept at working remotely already. But did you know that renting a virtual office space poses significant advantages over both working from a traditional office space and Working from home? Here are five reasons why choosing a virtual office might be the right decision for you. A key advantage for many people in the high-tech industry will be access to high-tech services like online faxing, unified message services, and Web 2.0 applications. Many of these services are not available for people who work from home, or even for those who work out of a regular office space. These services could really help your business get ahead, and with a virtual office, you can have access to these services from anywhere in the world as long as you have an Internet connection. One of the big advantages of a virtual office is the ability to choose a prestigious location for your mailing address. Think location doesn't matter? Think again. Most of your potential clients will be interested not only in your rates and services, but also where you are located. Having a mailing address in a downtown business location rather than in a residential neighborhood adds a sense of legitimacy to your business. In today's competitive business world, an extra sense of legitimacy can help to set you apart from the competition. If you're a web developer and you run your own business, chances are you'd love to spend less time on the administrative side of your business and more time doing what you really care about, which is building and maintaining great websites. A virtual office allows you to outsource tasks like fielding calls, forwarding mail, answering customer emails, and more. Instead of spending your valuable time on these tasks, your virtual office company can take care of them for you. Renting a virtual office as opposed to a traditional office can result in huge cost savings. With a standard office space, your overheads include things like utility bills, equipment purchase or rental, parking fees, and cleaning staff salaries. 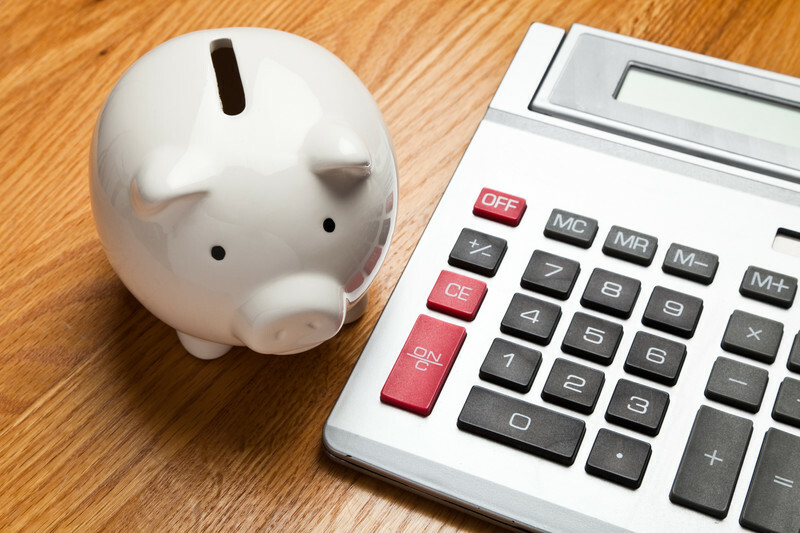 With a virtual office, you save big by eliminating these costly overheads. A number of recent studies have shown that people with more flexible work hours are more productive overall than people who are locked into the typical nine to five shift at an office. A virtual office allows you to work from anywhere while still enjoying the benefits that a traditional office space offers. You can capitalize on this increased flexibility by improving your own productivity and making more money in less time. You may be doing well as a web developer so far, but renting a virtual office space could be the step that helps you take your business to the next level. If you're a web developer, then physical space probably isn't very important to you. If this is the case then a virtual office presents far more advantages than a traditional office space, and at a much lower cost. Virtual Office Spotlight: Need a Virtual Office in Paris, France? We've Got You Covered! When you think of the most romantic city in the world, you're likely have visions of one landmark in particular: the Eiffel Tower. You're certainly not mistaken in having these thoughts, but as it turns out, the love capital of the world also happens to be a major financial and commercial business hub, too. This is one location that is sure to enhance your business with both love and prosperity. If you're in need of a virtual office in Paris, France, we've got you covered! Check out this sought-after virtual office location in the heart of Paris, the city of love and prosperity. Situated in the midst of some of the most famous and renowned landmarks in Paris, our virtual office at 28 Rue de l'Amiral Hamelin is located in the centre of the financial district of Paris, ideally nestled between the Eiffel Tower, the Champs Elysees and l'Arc de Triomphe. The office is connected by two convenient tube lines, no 6, Boissiere station and no 9, Iena station, as well as five additional bus routes. You'll also find many cafes, shops, restaurants, and bars within walking distance of this location. Instead of working from the confines of your own home, why not bring your business to a grandiose level, and work from a beautiful, refurbished private mansion? Fitting in perfectly with the chic Parisian fashion that surrounds the structure, this building is sure to bring forth only the highest of client admiration's and business professionalism. Large glass windows allow the large and flexible work spaces to be filled with light, while the green residential neighbourhood makes for a private and peaceful setting. The work spaces here come complete with modern and functional furnishings to ensure that you and your business' maximum focus and potential are met. On top of the luxury of the building itself and the prime location, this Paris virtual office also offers amenities like a modern meeting room, a private terrace, an interior courtyard garden, and staffed reception from the hours of 9am to 6pm daily. Business owners and team members gain 24-hour access to the building, and also receive the benefits of call answering and call patching services, as well as fax to email. Though the address itself speaks volumes for the benefits of this virtual office, the added amenities make choosing this virtual office a very easy decision to make. If you're planning on relocating to the city of love, or simply making progressive adjustments to your current home office situation, you're sure to find many advantages through the use of any virtual office, especially this one. Since great decision-making is an integral part of the success of your business, make this decision one that counts and opt for 28 Rue de l'Amiral Hamelin. For a complete list of all the features and benefits of our virtual office in Paris, France, Contact us here. In the past few years, business has changed a lot. Technology and society are advancing so quickly that it only makes sense for business to change with it. One of these changes is that more and more people are moving toward virtual offices. With virtual offices like City Office, you can reduce the costs associated with a physical office, while maintaining a professional appearance and constant communication with clients. Here are four reasons why virtual offices are the workplace of the future. 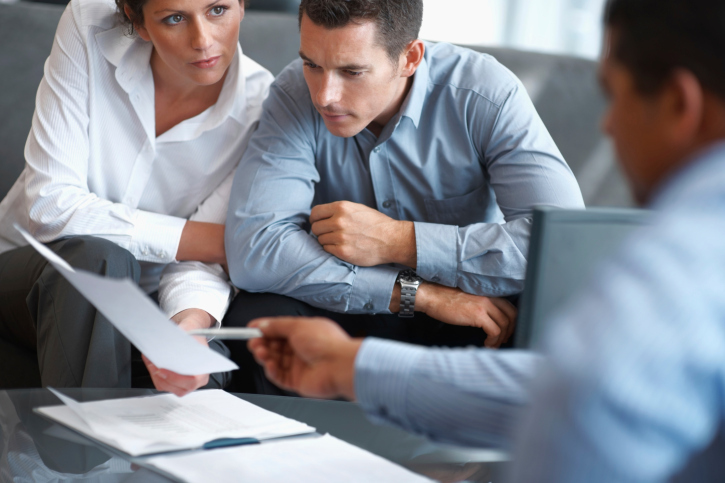 Money, of course, is a major consideration when it comes to any type of business. With virtual offices, you can save money because the costs associated with a traditional office simply don't exist. Years ago, costs like rental fees, office furniture, and office supplies, were a necessary part of business. With virtual offices, the costs are much lower than what a traditional lease would cost. Virtual offices are much better for the environment in many ways. Not only do they reduce the use of office supplies, like paper, they also result in lower energy consumption because electricity is not being wasted. Since a virtual office means you can work from anywhere, including home, it also results in less gas consumption, as not all of your employees have to drive to the office every day. A virtual office allows for a lot of freedom in how you want to run your business. You can work from home, or basically anywhere else. There's a lot of choice in the virtual office setup, which allows you to make decisions based on what's going to work best for your business specifically. One reason why virtual offices are the workplace of the future is because you don't have to give up any of your professionalism for the cost benefits. City Office offers you a prestigious business address that can be used as a mailing address. If you need access to meeting rooms, they're available at this address as well. Along with this service, City Office also offers a telephone service, so that when clients or customers call your number, a professional receptionist will answer the call and forward it to any number you'd like. Virtual offices are great for businesses just starting out, or those that are going through tough times, because they don't lock you into a contract, as most office spaces will. With City Office, you only need to give one month notice if you're not going to use their services anymore, which allows businesses a little breathing room in case something unforeseen happens. The benefits of a virtual office are huge, and as the world changes, business is changing right along with it. Virtual offices save money, help the environment, allow for freedom while maintaining professionalism, and don't lock businesses into a tough contract. The workplace of the future is virtual! Every penny counts when it comes to small business, so you'll want to make sure that any property you've acquired is protected in the event of fire, theft or vandalism. Though you may have only accrued a computer and a phone at this point, it's important that these devices are protected so your business isn't interrupted as a result of an equipment issue. In the event that one of your employees is injured on the job, Worker's Compensation Insurance will take on the responsibility of paying your employee's wage and covering many of their medical expenses. Since this means that an employee is unable to sue you for an on-the-job incident, having insurance means that you won't have to get involved in the rather hairy, and expensive, land of the legal if such an incident does occur. While Professional Liability Insurance is used mainly for companies that provide professional services, like lawyers, accountants and insurance agents, this type of coverage can be important in the event that a client experiences negligence as a result of a service provided. It's not a necessity for every small business, but if you offer professional services it may be very important coverage to have. If you're a small business owner, there's a good chance that you store some personal data about your clients in your company's system. Whether the private information happens to be on the computer or in the books, Data Breach Insurance will insure you and your business in the event that company information happens to be lost or compromised. As a virtual business can consist of as little as one employee and a business owner, having insurance that will guard against illness or another unexpected event can be very important so you can avoid the problematic hurdle of having your business interrupted. Even a minor issue as a small business owner can have a huge impact on your bottom line, so this type of insurance can provide necessary protection against this occurrence. While the small business owner has more than enough to worry about without even starting to think about insurance, it's one of the most important things to keep in mind if you see growth in the future. It might seem like a waste of time to bank on what might happen, but in the event that something does, not having insurance can have a very negative impact on the success of your business. If you're a business owner who is contemplating a virtual office, Contact us for more information on what we have available. Seattle is located in the state of Washington, just south of the Canadian border. Seattle is the second largest city on the West Coast, after San Francisco. This city enjoys a moderate climate with cool summer temperatures that rarely reach above 75 Fahrenheit, and mild winter temperatures that very rarely go below freezing. While Seattle is appealing because it rarely gets snow, it does receive lots of rain. 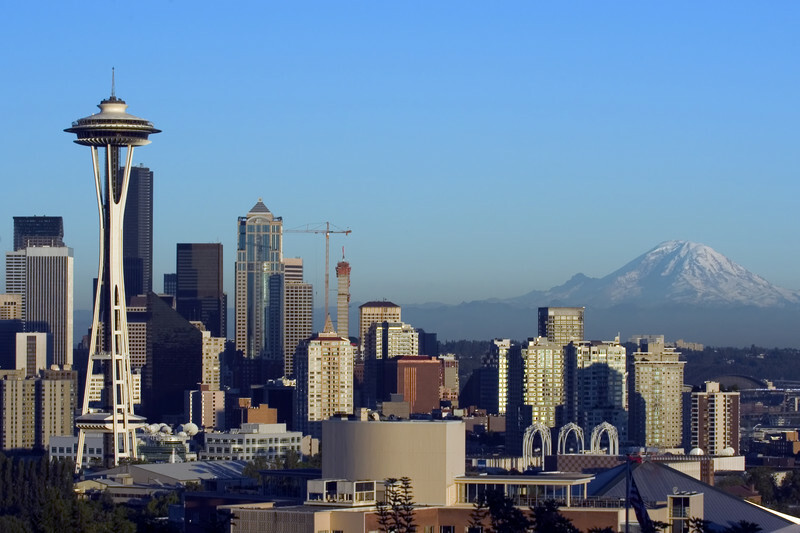 Seattle is a lively city and any business would benefit from being here. It's a great location for technology, design, and Internet companies, but there is a lot to do in this city after work as well. Read on for some ideas on how to relax after a workday in Seattle. A great way to pass an evening is at Seattle's Pike Place Market. This is a delightful market situated right next to the ocean, so it's an ideal place to enjoy a nice breeze while soaking in some local culture. Small businesses, restaurants and artists can all be found here, as well as the very first Starbucks. A variety of different cuisines can be found here, and if you crave some activity after a day at the office, why not participate in the market's fish throwing? When summer is here and the days are long, the last thing anyone wants after a long day at work is to head home. Enjoy the warm weather and the sunshine, and support one of Seattle's local sports teams. Catch a baseball game at Safeco Field and watch the Mariners play against teams like the Angels, Yankees and the Twins. This stadium is just south of downtown, so it's very easy to walk to. You could also enjoy a Seahawks football game at Seahawks Stadium once the fall arrives. Listening to professional classical music is a great way to spend an evening in Seattle. The Seattle Symphony, which plays at the Benaroya Concert Hall on Second Avenue and University Street, performs more than 200 shows each year to more than 315,000 people. This symphony has been around since 1903, so you'll be soaking up some real culture along with the great music. There's no shortage of great bars in Seattle. If you want to relax with a drink after work, check out Dimitriou's Jazz Alley, which is Seattle's most prestigious jazz club. If you prefer exquisite cocktails, don't miss the Zig Zag Cafe. An all-time Seattle favorite, though, is the Blue Moon, which opened in 1934 in celebration of the end of prohibition. Blue Moon has even served celebrities such as Dylan Thomas and Allen Ginsberg. There's no shortage of things to do after a long day at work in Seattle. Whether you're a fan of sports, music, or the nightlife, you're sure to find something to entertain yourself. Seattle isn't just a great place to do business - it's also a great place to live. Working from home and running a business from a home office certainly has its benefits: you get the comfort of being at home while working, plus you get to cut out the daily commute. Have you considered, however, how working solely from a home office may be stunting the growth of your business? Here are just a handful of reasons why you need to ditch your home office and make the switch to a virtual office, once and for all. Though you've made it this far with your business while working from your home office, you've probably experienced a number of challenges with this set up, despite the success you've achieved. At home, it can be difficult to achieve a consistent focus and sense of organization that is integral for a business' long-term success. This may arguably be the most critical reason why you should consider the switch. Find a space where you can focus 100% of your time and energy on your business, and watch your business prosper as a result. Regardless of how much devotion and time you give to your business, you simply can't be around to answer the phone 24 hours a day, 7 days a week. And even of you were, you would probably end up losing a lot of business due to unprepared or sloppy telephone conversations with potential clients. So rid yourself of the potential losses, and switch to a virtual office where you'll have a professional reception service to take your calls for you. Along with the first impression your clients are bound to receive from their initial inbound call, it can also be very beneficial to have your business' mailing address be a place that is recognized and sought-after in the corporate world. With many virtual office spaces around the globe located in notable and prestigious business centers, you're sure to find the prestige you're looking for by making the switch from home to a virtual office. Plus, the added privacy of having your mail delivered to a business location rather than your home is another bonus. Though you'll still have to manage your team on a remote basis, opting for a virtual office will ensure that you always have a professional and organized space to host your team meetings. And with the ability to host team meetings more often, you can significantly improve the team feel and overall success of your business. One significant downfall of working solely from a home office is the lack of opportunities to connect, socialize, and network with others. While you're distracted by your house pets, children, or significant other at home, you'll surely be engaged by other business professionals in a virtual office setting, with plenty of opportunities for beneficial networking and insightful conversations. Finally, if you're anticipating a move in your future, you can rest assured that, with virtual office locations around the globe, moving both your home and your business will be a seamless transition. Regardless of what level you're looking to take your business to in the coming year, you're sure to benefit from a calculated decision to ditch your home office. Make your list of pros and cons, and be sure to include the above list along with your unique benefits of making the switch. For more information about our virtual office locations around the globe, click here. While people who work remotely can essentially set up shop anywhere they choose, your average virtual office worker usually finds him or herself spending most of the day at home. For many people, this presents a new way of working that comes with its own set of unique features and challenges. Whether you're working with a team of people who are scattered around different remote locations, or you're simply working by yourself, there are several different approaches you can take that will help you get the most out of your virtual office experience. Since virtual office workers aren't bound by the old nine to five regime, they have more freedom to spend time with their families, take care of errands during the day, and enjoy all of the other benefits that come with a flexible schedule. But with this increased flexibility come challenges. Some remote workers might find productivity challenging, while others will find that their working day often encroaches far too much into their off-work schedule. In both of these cases, the best solution is a set schedule with built-in routines. Virtual office workers should be allowed to maintain flexibility, but they also need to have clear boundaries between work time and break time. If you're working on your own, it's a good practice to keep a notepad at your desk and jot down either the time you start and finish work in the day, or the tasks that you accomplish each day. This will help to keep you accountable, and will also help you keep track of what you get done each day. 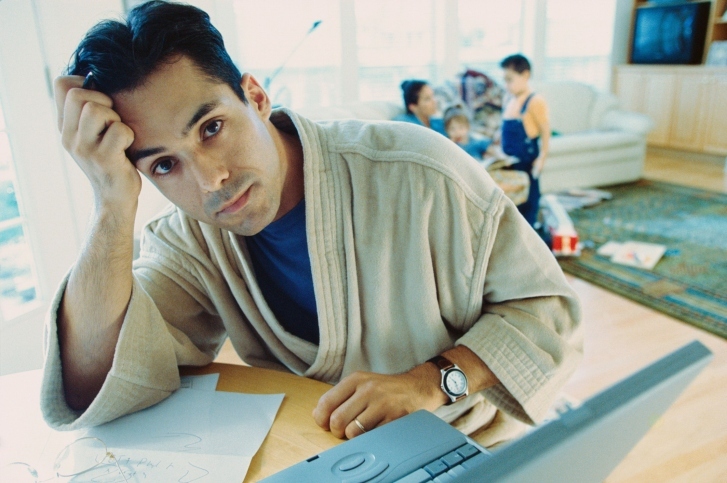 One of the biggest problems for people who work from home is the isolation factor. Even if you're talking to clients or co-workers on the phone, sitting by yourself for 40 hours a week can easily lead to social isolation for many people. With a virtual office, there are ways to deal with these issues. If it's possible, it's a good idea to arrange face-to-face meet-ups with colleagues once in a while. It's easy to do business on the phone and online without ever leaving your house, but for the sake of sanity, it's important to have some real human interaction once in a while. Meet-ups can also be a great networking tool, as meeting clients face-to-face can open up the potential for making new business contacts. If you're renting a virtual office, you will have the option to use the virtual office provider's meeting rooms to arrange face-to-face meetings. Another good idea is to spend some real social time together with your virtual office mates. Meet up for a night out once in a while, and give everyone a chance to get to know each other a little better. Working from home provides many benefits, but if you're not careful, there are also many challenges that can get in the way of your productivity, as well as your emotional well-being. By scheduling time correctly, developing routines, and ensuring face-to-face interaction times, you can help to ease some of the stresses of remote work and make your virtual office work more productive and more enjoyable. Are you a dedicated Mac user who loves running your business using all of the latest Apple gadgets and innovations? Are you someone who loves Working from home, but also needs to effectively manage a remote workforce? 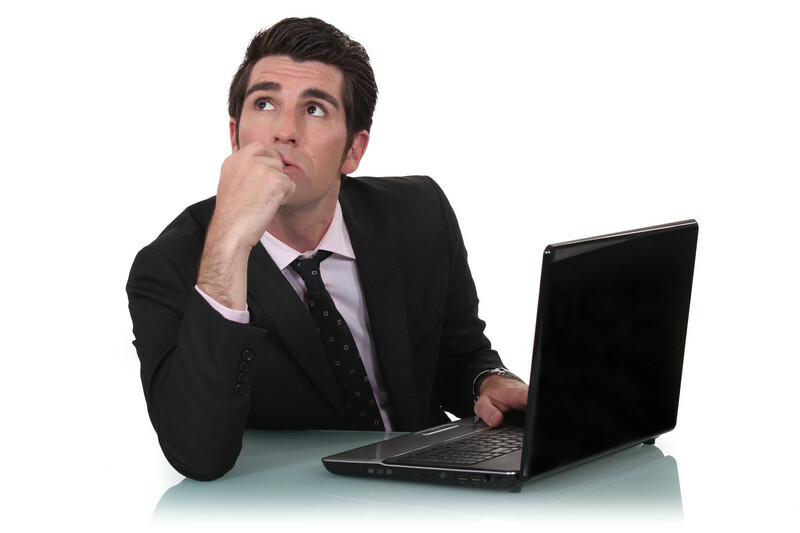 If this is you, then there are some Mac software solutions that could be of serious benefit to you and your business. Running a successful business involves effective communication. But for those who work remotely, communication can be a challenge. While there are a number of other tools that allow workers to chat via text, voice, or video call, each of these tools has their own limitations. Online videoconferences can be negatively affected by a poor Internet connection, and you can only set up these conversations when people are at their desks behind a computer screen. For Mac users, FaceTime presents the perfect solution to all of these problems. Although this tool is mainly intended as a social networking app, it can also be used in the business world for quick face-to-face conversations between virtual co-workers. With FaceTime, your video calls will look and sound great, and you can make calls from any apple device. If you're out on the road with your iPhone, you can still make a video call to any other apple computer or handheld device. Also, you don't have to schedule time in advance for conversations, as calls will ring on your Mac device whenever they come in, even of you don't have FaceTime open. A great apple tool for any remote workforce is the Apple Remote Desktop. This tool allows you to remotely manage any computer in your Mac network. Some of its features include a network-wide search function, remote file transfer functions, software distribution tools, and remote administration tools. You can also use this app to automate routine management tasks across your apple network. This is a great tool to provide your system administrator with access any computer, and to allow for easy information sharing throughout your network. When you have a lot of computers to manage, it's important to keep all of your systems up-to-date. The Apple Configurator is your tool for setting up new devices, syncing apps and updates, and ensuring that your remote workforce's workstations are all operating at the same level. For example, you can install new apps across all of your network's devices using the Configurator, so when you discover a new tool, you can share it with everyone in the virtual office. Plus, this is not just an app for Mac computers; it can also be used with iPhone, iPad, and iPod Touch. Macs have long been the choice for creative-minded individuals, and using this Mac software, you can maximize not only your creativity but also the creativity of your whole remote workforce. And, if your whole workforce is operating in a Mac environment, you can seamlessly integrate all of these devices to facilitate information sharing, making everyone's job easier. Office coffee can sometimes get a bad reputation, but having a daily cup or two might be better for you than you think. As most people like to indulge in at least one cup of coffee on a weekday morning, the drink that often gets a rough rap can actually work to improve your day as well as your performance at the office. You might feel guilty about grabbing that second cup, but here are a few reasons why you don't need to be too strict about your coffee consumption. The water cooler might be the familiar centerpiece for office chit-chat, but going for a morning cup of coffee can actually get you into the kitchen and involved in an unexpected conversation with your co-workers. While another opportunity to talk with your fellow employees might not be a popular idea with your boss, it can actually be a good way to get away from your inbox for a few moments and get back to your desk with a fresh, new perspective. It can also be a great way to establish friendships with your co-workers that will enhance your experience at work. It might seem strange to think of coffee as something that can actually make you more productive, but the stimulating powers of caffeine, which work to block the inhibitive neurotransmitter Adenosine, can actually improve your efficiency at work. In effect, caffeine not only works to wake you up, but it can also make you feel better about your work day, boost your memory and reaction time, and make your projects and daily duties go off without a hitch so you don't have to worry about a sleepy morning getting in the way of your productivity. While coffee is often given a bad reputation because of its stimulating properties, the beverage really can assist you in preventing a variety of health issues. In addition to automatically increasing your alertness, coffee can minimize the risk of diabetes, cirrhosis and other diseases like Cancer, Parkinson's and Alzheimer's. It can also be a source of additional vitamins like B2 and B5 as well as a source of potassium, manganese and riboflavin. All of these health benefits might just make you want to rush to the coffee pot a bit quicker in the morning! Many people might be surprised by the health benefits of coffee, but this favorite morning drink can actually be a great source of vitamins and minerals and can also help to stave off many serious illnesses. Though moderation is important, there's no use feeling guilty if you're having a day that requires a second cup! If you're looking for an office where you can set up your coffee pot, Contact us today for more information on our virtual office options. With the uncertainty of today's markets, new business ventures are becoming riskier than ever. Many great ideas have gone unexplored because entrepreneurs weren't able to handle the risk associated with launching a new business. But with the advent of the virtual office, business doesn't have to be so risky. You can run your business or launch your new venture without having to deal with the danger factors that most start-ups face. Here are four reasons why running your business is less risky with a virtual office. The biggest risk associated with any new business is usually the up-front monetary investment. Many entrepreneurs simply can't handle the financial risk of having to invest in new equipment and office supplies, pay more utility bills, and pay a large sum for monthly office space rental. With a virtual office, you have the ability to eliminate all of these worries. Your investment is minimized because you don't have to pay for many of the costs that are built in to traditional office rental agreements. That way, you can focus you investment on where it needs to be: launching the business itself. If you're thinking about renting a typical office space, long-term leases and contracts can pose major issues for many businesspeople. Often, folks who are just starting out with a new venture aren't able to sign a yearly lease with a property rental company. But with a virtual office, you have the option to pay for only what you need. That way, you have the flexibility to use the virtual office services you need without being tied down to a specific location. For many start-ups, staffing can pose a major problem. Finding the right staff can be a difficult and time-consuming task that many business owners prefer to avoid. A virtual office eliminates the need to hire staff since your virtual office provider will already have the staff they need to offer services like customer care, call forwarding, and mail forwarding services. This way, you spend less of your valuable time looking after staffing needs, and more time running your business. A final risk for many businesses, especially in today's competitive world, is business reputation. Consumers are intelligent, and if they see the wrong type of address on your website or letterhead, they might not trust your services. A virtual office is a great way to get the type of prestigious address you need to protect your reputation, but without having to deal with risks like staffing, facility costs, and long-term leases. Many businesses these days are choosing to avoid the traditional office space rental scenario, and opt for the more flexible choice of renting a virtual office. This choice frees business owners from a number of the risks that people who rent traditional offices often take for granted. With a virtual office, there are fewer risks, which means that entrepreneurs can spend less time worrying, and more time thinking about how to take their business to the next level. Summertime should be filled with traveling and exploring the world. Sitting at a desk in your old office is as unexciting as it gets. However, there is a way in which you can combine the exploration of the world with working and helping your business grow. The way in which you can do that is by renting out serviced office space. We have plenty of offices all over the world. Let's have a look at just a few of those locations. If you've always dreamt of visiting Australia, grab on to your chance now. You'll have the opportunity of immersing yourself in everything Australia has to offer. However, you won't have to start from scratch and do it alone. We have offices all over Australia. There are seven office buildings available in Adelaide alone! You can choose the one that's closest to your apartment. This way, you won't have to waste valuable vacation hours with a long commute. Egypt has a certain pull on people, partly because it’s surrounded by desert. More than that, it offers the chance of seeing the pyramids. This is the type of experience most people spend their entire lives dreaming about. Thankfully, Egypt now also offers serviced offices that you can take advantage of. There are three locations in Cairo that you can choose from. With these, you're sure to combine work with fun like never before. Asia has a lot to offer. Not only is it rich in history and culture, but it also has its own exotic beauty. If you've dreamt of exploring the area, you shouldn't postpone any longer. Asia has so much to offer that it would take a lifetime to see and experience everything. However, if you start with small steps, you might have a chance of beginning to understand. If you wish to start with China, you'll be happy to learn that we have offices in 7 locations across China. In Beijing alone, you have 10 buildings to choose from. Europe is one of the continents people want to visit most. If you're one of these people, you can stop waiting and take that well-earned vacation now. Thankfully, we have offices in most countries. In fact, there are hundreds of spaces available. This means you won't have to decide on your destination according to your business. Let your destination decide where you'll be doing your business. For example, in Germany alone we have offices in 22 different cities. Berlin is filled with 19 office buildings, which means that you have one wherever you want one. This summer, you can start exploring the world. Go wherever you wish, and immerse yourself in different cultures and customs. If you're worried about your business, you don't have to. 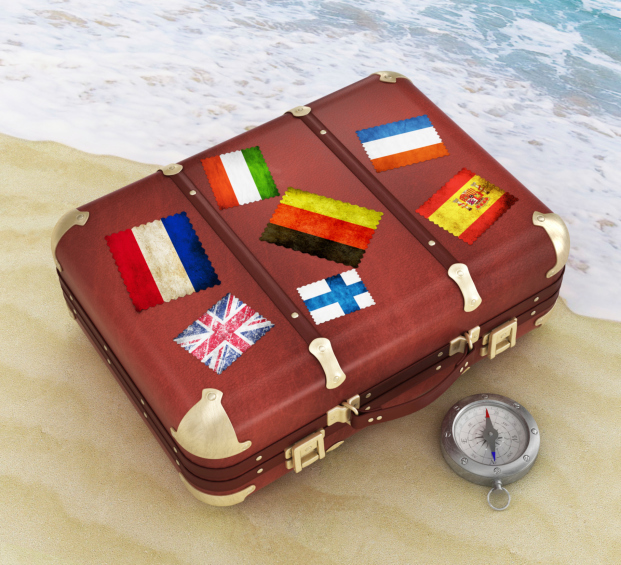 Now, you can enjoy your vacation in foreign places and help your business grow. If you'd like more information about our serviced offices, don't hesitate to Contact Us We're more than happy to help you out. Virtual offices are becoming more and more useful and popular as the business world changes. They're a convenient way to run a business, and they allow you flexibility while maintaining your professionalism. That's why virtual offices are perfect for entrepreneurial military spouses. Life as a military spouse is hard, and virtual offices like City Office can give you the help you need to run a business successfully. Here are four reasons why virtual offices are the perfect solution for entrepreneurial military spouses. A virtual office doesn't stick you with a contract that will force you to stay in the same place for a set amount of time. With City Office, you can actually move around, and they can provide you with an office address in many different places. City Office has office spaces in numerous countries, allowing for more flexibility when it comes to where you need to be. This can allow you to be closer to your spouse without giving up your business. Virtual offices understand that business is hard work. That's why they don't have set contracts like many normal office spaces do. Renting a traditional office space will usually result in being roped into a contract that could be one whole year long. As a military spouse, time and place constraints can be hard. If you decide that you need to take some time off work, City Office only requires one month's notice for cancellation of their services. This will allow you to feel more comfortable in your business, and it will give you some leeway if you need it. Time commitments can just add to stress, and that's something military spouses definitely don't need. A virtual office will allow you to work from pretty much anywhere, which is great for military spouses. These men and women live busy lives, and often have a lot more to deal with than just work; virtual offices are a great solution for a busy life. Instead of having to take a trip to the office every day, you can have your calls forwarded to your home or mobile phone. Many virtual offices have trained receptionists waiting to take your calls and forward them to whatever number you wish. This also gives you the freedom to travel, and work from somewhere other than home. Virtual offices are a great solution for so many kinds of business, and entrepreneurial military spouses are just another example of a type of person that can benefit from their services. Military spouses go through a lot, and the support that a virtual office can offer is extremely beneficial. Virtual offices allow you to move around, as they have offices all over the world. They don't rope you into long contracts, and they make it easy for you to work from anywhere. No matter where you need to be, City Office can be there for you. As many businesses switch over to remote working and virtual offices, many are also getting on the gadgets bandwagon. Instead of investing in the fax machines and giant printers of days of old, businesses and entrepreneurs are buying up small gadgets that get the job done better and take up far less space. With all of the gadgets now available, you can perform the functions of an entire office with just one laptop or even one on your smartphone. Here are some of the gadgets that will improve your virtual office the most. Do you ever get tired of trying to type long emails on the tiny touchscreen of your smartphone? If so, wow-keys is the solution you're looking for. This is a full-size keyboard that can be plugged into any mobile device so you don't have to rely on that pesky autocorrect anymore when you're writing emails on your iPhone. When you're doing business on the go, you may not always be near a cash or debit machine when you want to accept a payment. With Square, you can accept payments no matter where you are. Square is a handy little gadget that plugs into your iPhone or iPad and allows you to accept credit or debit card transactions straight through your mobile device. Once you download the Square app, you will receive the Square device for free in the mail. The only downside to this app is that it will charge fees for every mobile transaction you make. With iConvert and an iPad, you have no need for a big, bulky scanner. iConvert turns your iPad into a scanner in one simple attachment. It allows you to easily scan documents through a feeder, and it converts those documents into high-resolution images on your iPad. Once they're scanned, the images go straight to your photos folder so you can easily keep track of them and share them when needed. Everyone needs more USB ports, right? With this monster USB hub, you get 24 ports at once, all in a compact circle or power. So, you can connect your smartphone, tablet, digital camera, USB mug warmer, and 20 more devices to your computer all at once. One you have all of your fancy new gadgets, you'll want to get another gadget to keep track of all of your gadgets. The Garmin GTU is a small GPS unit that you can attach to anything. When your gadget leaves a pre-determined location, the GTU will notify you immediately via email or text. Your virtual office may not have as much space in it as a standard office does, but with all of these handy gadgets, you can do more with less space. From scanning to typing to receiving payments to protecting your belongings, these gadgets will help you take your virtual office to the next level. In the business world, the concept of a virtual office is becoming increasingly popular as people begin to discover its benefits. Just a few of its benefits include saving money on office space, seeing your family more, and working out of the comfort of your own home. Solopreneurs, for instance, are finding out that working out of a virtual office means a greater amount of freedom than ever before. Below are just a few reasons why solopreneurship from a virtual office means freedom. A common misconception about the virtual office is that it has to be in a room or office somewhere. However, that's not exactly true. Sure, many virtual offices are set up inside the homes of people who are essentially telecommuting out of their home offices, yet that's only one way of doing it. If you're doing work on the road and have your laptop with you at a hotel or even on the beach, then you're a virtual office worker operating out of those on-the-road locations. A solopreneur who does a lot of traveling for his business now gains the freedom to work not just in an office or out of a room of his home, but even from a hotel or the beach, provided he has the portable equipment with him. For lots of people, working out of a home office is the most common way of operating a virtual office. All you really need is a computer, Internet connection, modem, and additional electronic means of keeping in touch with your employer and performing your work duties. Being a solopreneur who works from the home allows you the freedom of setting your own hours. This has an additional benefit of letting you be around your family more, which means seeing your spouse and kids more than ever before. This freedom would not be possible if you worked in a regular office for eight hours or more each day. You can dress casually when you work from home out of your own virtual office. Even if you're on the road, you can dress very casually. Theoretically, you can even stay in your pajamas while working from your virtual office since you don't have to interact with any co-workers at all! This doesn't just give you a huge amount of freedom, but it also helps you to save money. You won't have to purchase, for instance, an expensive office wardrobe in order to impress your boss and clients. These are just some of the reasons why being a solopreneur who works out of a virtual office means sheer freedom. This freedom is especially clear when viewed against the traditional workplace environment that the virtual office strays from. Solopreneurship may be practiced by anyone who runs a business by himself. Having a virtual office means freedom since it provides flexible hours, the chance to work from anywhere, and incredible savings. Today's business environment makes it very appealing to use a virtual office. The most obvious benefit of using a virtual office is that you don't have to actually travel to a "real" office in a building. There are also additional benefits to using a virtual office, such as the elimination of distractions. Here are the five ways that a virtual office can help eliminate distractions. Doing business in a virtual office limits your interactions with people. As opposed to working out of a regular office, working out of a virtual office means that you won't run into coworkers, your boss or any temps. You may have your family that you see at different points during the day, but other than that, you pretty much have fewer distractions from not interacting with nearly as many people. Being in a virtual office means that you won't have to contend with annoyances like getting called into meetings during the workday. It also means not having to go on an errand for your boss or fix him a cup of coffee when and where he wants it. This frees you up quite a bit to manage your time in a much more constructive manner. Not only does this mean fewer distractions, but also more efficiency. The best place to set up a virtual office at home would be in its own designated office space. In other words, a specific room set aside for a virtual office would be the most ideal situation because it eliminates most distractions. You won't be able to watch TV, listen to the stereo or get distracted by food in your home office, thus resulting in more productivity due to fewer distractions. When you're working out of a regular office in a building somewhere, you don't always get breaks when you need them. In fact, work can be so busy and hectic at times that you may even feel pressured to forego your breaks, which leads only to more stress and diminished capability. 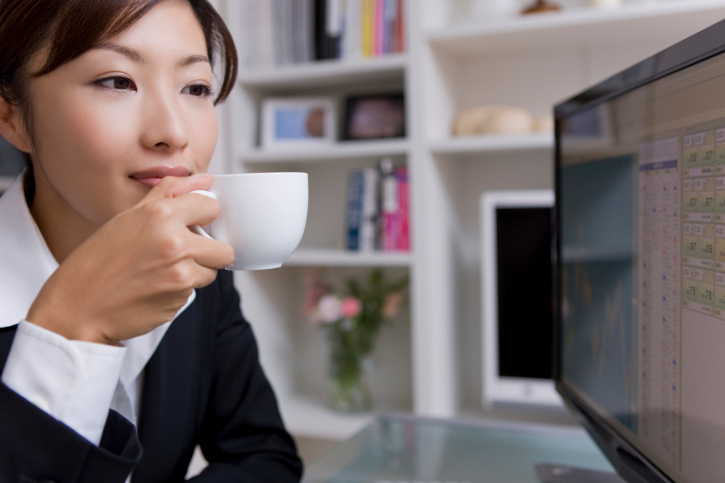 When you work from your home virtual office, you can give yourself a break exactly when you think you need it, thus helping you refresh your energy throughout the day. A virtual office doesn't come with the pressure of constantly being beside your smartphone the whole day. At home, you can actually turn that handheld mobile device off for a change, unlike at work in an office, where you always have to be on standby in case your boss needs you at a moment's notice. These are the five ways in which a virtual office can help to eliminate distractions. Virtual offices are growing in popularity these days as more employers begin to understand the productivity boosts that come with letting workers work from home or on the road. Fewer distractions mean greater concentration on work and getting more done. The way we live our lives is rapidly changing. Now more than ever, people are realizing the importance of family and finding ways to create a greater sense of balance between work, play and love. One of the most important things to come out of this revolution is an increase in the number of stay-at-home dads. Whereas at one time the father had little to do with his family besides bring home a paycheck and provide an occasional pat on the head, men are now taking increasingly active roles in their family lives. When women function as primary breadwinners, men have the freedom to take on the traditional nurturing role and enjoy the daily challenges of raising their children. Unfortunately, our economy is not such that many families can afford to survive on one income. The frustration that comes with living on a tight budget or paying for expensive childcare can easily become too much for many. This doesn't necessarily have to be the case. Virtual offices are growing in popularity right along side with the need for two incomes, making it possible for men to maintain their previous income as they work from home, while performing the most important of tasks: caring for their children. In the past, when a woman left her job to care for her children, she had to take the risk of losing her job in the process. Maternity leave was salve for wounds, but many women found it difficult to return to the workforce after the complete lifestyle shift that motherhood brings. Sadly, men were barely given an option at all. They were compelled to carry on as always, missing out on those all-important first years of their children's lives. However, this is no longer the case. If the man decides to take on the responsibilities of becoming the primary caregiver, he doesn't have to sacrifice his paycheck. By taking advantage of virtual office packages offered either independently or through his company, Dad can stay competitive and relevant in his field. Working at your business from home certainly has its share of challenges. In all honesty, the chance of being able to squeeze in a few hours of work let alone a full day in the first few weeks of fatherhood are slim. Newborn babies are a full time job and an exhausting one at that. New mother and baby require a great deal of help to adjust. However, once this period has passed, stay-at-home dads can easily rely on their organizational skills and on time management to put in a full day of work. Having the right virtual office solutions is imperative. For example, a virtual assistant that can handle calls, take messages, set appointments and perform other tasks takes a great deal of weight off. A virtual address that will maintain the appropriate image is necessary too, particularly one that offers professional reception service and meeting rooms for hire. If all these resources are in place and the motivation is there, Working from home can be a very rewarding occupation. Children are lots of work. Having a parent constantly with them to guide them, instruct them, and smother them with the attention they need to become healthy adults should be every mother and father's main priority. If you are fortunate enough to have the chance to stay at home with your children, it is truly a gift for both of you. No moments have to be missed. No sacrifices have to be made. Stay-at-home dads have the relatively new opportunity to be a major influence in their children's developing minds, and in turn, forge a relationship that will be a gift for years to come. In these tough economic times, many businesses are resorting to major cost-cutting procedures in order to survive, while some are focused on spending in order to grow their way out of trouble. Both methods can be effective, but in business as in life, too much of a good thing can quickly become a bad thing. In order to not just survive but also thrive in today's economy, you need to be able to find a healthy balance between spending and cutting. When you're considering any spending, the question to ask yourself is: "is it worth it?" Is this spending going to help the business' long-term goals, or is it simply going to bring in a quick return without leading to sustainable growth? In order to identify which expenditures are worth it, you need to be clear about your goals up-front. If you haven't taken the time yet to identify what your key profit boosters are, it's worth investing the time now to figure it out. Is it customer acquisition that really boosts your profit margins, or is it product costs that make the biggest difference? Identify what works best for your business, and focus on growth in that area rather than pursuing growth in areas that you know will be ineffective. Paperwork can be a major hassle and no one likes to do more than they have to, but sometimes adding a bit of paperwork can help to control spending while at the same time helping to promote sustainable growth. Chances are, you don't have enough time to make a personal decision on every expense or activity within your business. That's why it's important to set up policies and procedures so that your staff can make the right decisions without having to waste your time. And even if you have a one-person business, it's worthwhile to keep track of all of your business procedures on paper. That way you can identify which decisions lead to growth and which ones don't. The simple truth is that you can't spend if you don't have any money. However, with so many figures being bounced around, it can be difficult to keep track of how much money you actually have in the bank. In order to effectively balance spending and cutting, you need to have a keen eye on your business bank account, and know the difference between profit and cash flow. Does your business actually have enough in the bank right now to pursue growth options? How about one year from now? 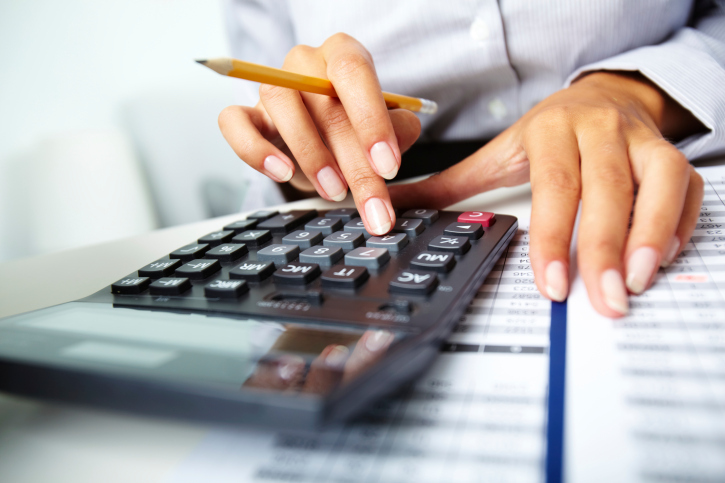 Understanding cash flow will help your business thrive in this tumultuous period. Any period, be it growth or austerity, is a good opportunity to make a frank analysis of where your business is at and where it's headed. Asking yourself tough questions, and being able answer them truthfully, will help you to determine whether to pursue that next big business opportunity, or whether to ride out the next big storm with the resources you already have. A virtual office is set up where a business allows its employees to work from home. Modern technology like computers, email, and fax means workers can satisfy their job duties and communicate with their bosses from home. These kinds of cost-saving office setups are gaining in popularity today as more and more employers see the value of having some of their employees telecommute. Telecommuting is Working from home. People who own and operate a small business are in a position to use the virtual office to their favor. Here are the three ways to help you decide if a virtual office will be good for your small business. This is particularly applicable to small businesses that are just starting out and, thus, don't have that much money to invest in leasing office space. A virtual office allows you to use the power of the Internet and your own home as a base from which you can conduct your small business operations. This will save you money because you won't have to rent space for your small business, and it might also help you qualify for certain tax breaks. These tax breaks may be available to people for using their own homes as a base for business. If you work out of a traditional small business setup--which includes hiring people face-to-face to work at a physical location--you could be missing out on talented workers who are separated from you by geography. However, with a virtual office, you can hire an employee remotely because you can utilize web conferencing tools and the like to make him a part of your team. The tools you have in your virtual office can help make this a reality. 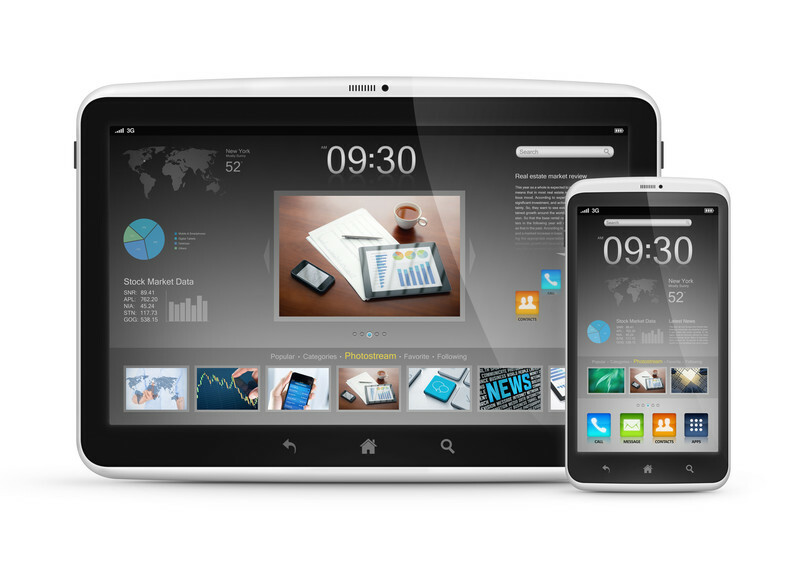 The tools include solid phone setups, intranets and additional linkups. 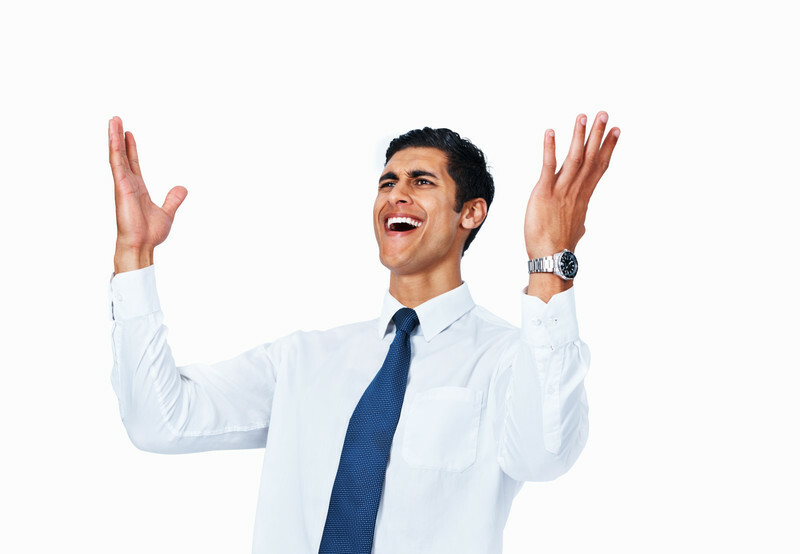 Suppose that you're in one city, yet you've found a great sales representative in another one. A virtual office and web conferencing tools can make distance a non-issue. The price of gas is still on an ever-upward rise, which is why using a virtual office for your small business isn't just smart, but will also save you further costs. Working from a virtual office obviously means that you won't have to do any commuting, because you're telecommuting from home. So you won't have to spend nearly as much money on gas as you would driving to a physical location from which you would be managing your small business on a daily basis. Since a small business, particularly one that's just been established, doesn't have an especially big budget, having a virtual office is vital to cutting down on costs. These are the three ways that you can decide if a virtual office is the right choice for your small business. The two big benefits to using a virtual office if you're a small business owner are the cost savings and the ability to get around location-based hiring. If these are important to you, then you may want to consider a virtual office for your small business. If you're thinking about a virtual office, knowing the terminology is imperative in understanding how to operate your business and ensuring you get all of the things you're looking for. While the following terms won't tell you everything, they will give you a good place to start. Particularly useful in an office scenario where employees may be out of the office frequently, hot desking refers to a set area or set of cubicles that are used by a number of different employees. For those who may not be in the office all the time, hot desking can serve different users based on who requires the workspace. Not only does this save money on additional office products, it also saves on valuable floor space. A vital tool in the virtual office business, web based office suites make it much easier for a business to store files online, collaborate on them and share them when it's required. These suites generally consist of tools for word documents, spreadsheets, instant messaging, web conferencing, email and other items that will be necessary for this type of virtual office setup. Essential to long distance communication, web conferencing is even more necessary in a virtual office where people who work together may not work side by side. This service will allow people to conduct presentations and meetings online and will also provide a platform through which they can collaborate and work on projects. When you're deciding on your service package, make sure that web conferencing is part of the deal. A payment term that is used quite frequently in the industry, a retainer fee refers to the amount that is given to an employee to ensure they will be receiving payment for their work. As an advance payment on services that will be rendered in the future, this implies that a certain time frame or number of hours are going to be worked in the future. As someone who will not be full time and can work for multiple employers at once, a virtual assistant can answer the phone, book appointments, answer emails and complete all the required tasks of the job from their home. While this is a beneficial cost saving measure for someone who may not need full time help, it also puts the added gloss of professional representation into the mix. 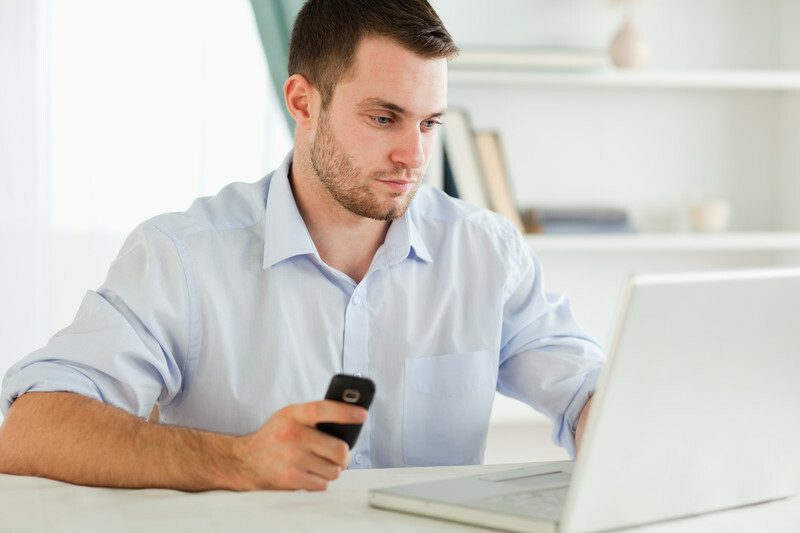 As employees who do not actually have to travel to work, teleworkers begin their day by logging into the system remotely. Since the worker is able to save time and transportation by not having to travel to work and the business saves on office space, teleworking is a beneficial scenario for everyone. In addition, the more flexible schedule of a teleworker can make for a happier, more productive employee. With the added capability of modern technology, virtual offices are becoming more of a reality. Knowing these terms and learning how they can help you may ensure that you can achieve virtual office success in the future!